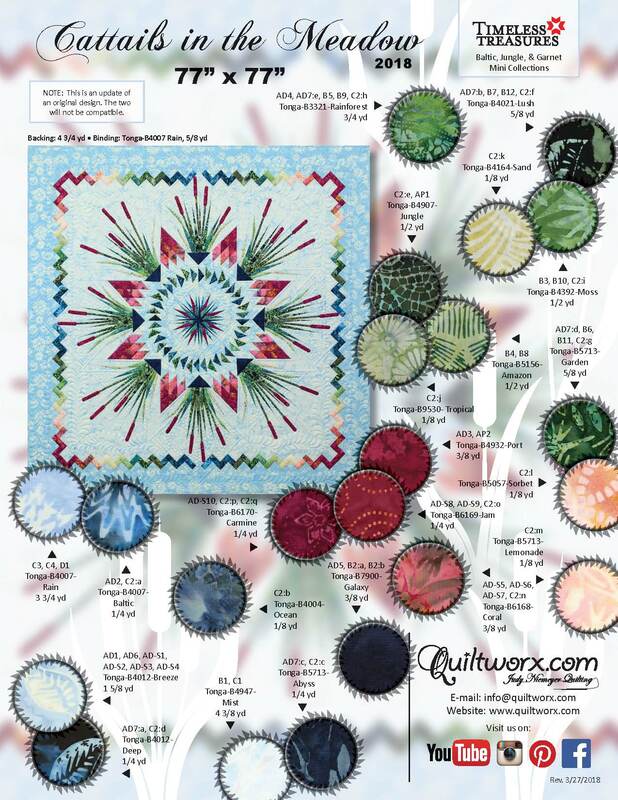 This quilt kit contains all the fabric (16.25 yards) needed to complete the top and includes the complete pattern. 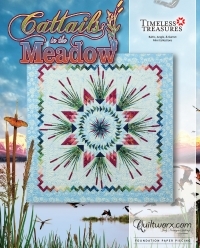 The pattern includes cover sheets, instructions, foundation papers, applique stitch & peel pieces and yardage information. It does not include the fabric for backing, binding or the batting. 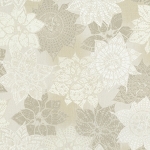 If you want the backing and/or binding, select kit options where you can add these fabrics.